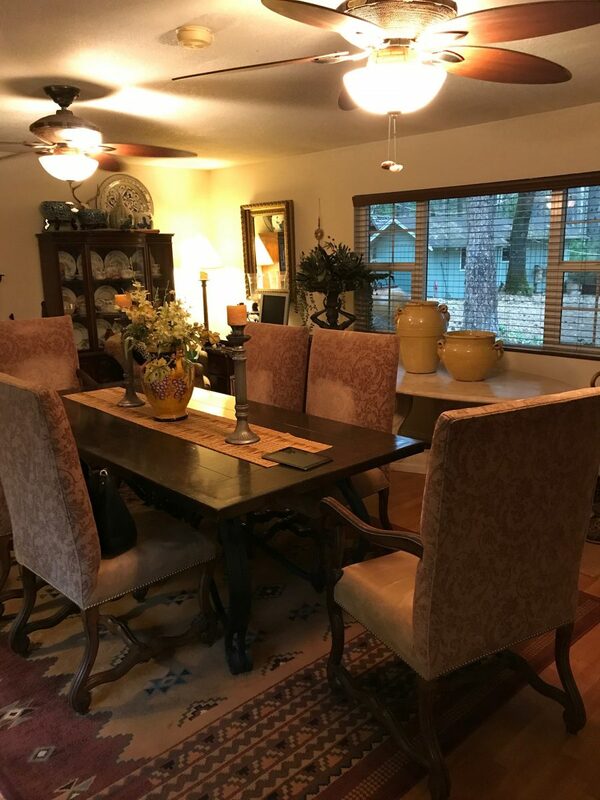 LOCATION: A perfect gentleman’s ranch ready for a new family. The Green Valley Ranch is located just about a 35 minute drive east of downtown Redding, CA near the little town of Oak Run, CA Halfway between Portland, OR and San Francisco, CA. 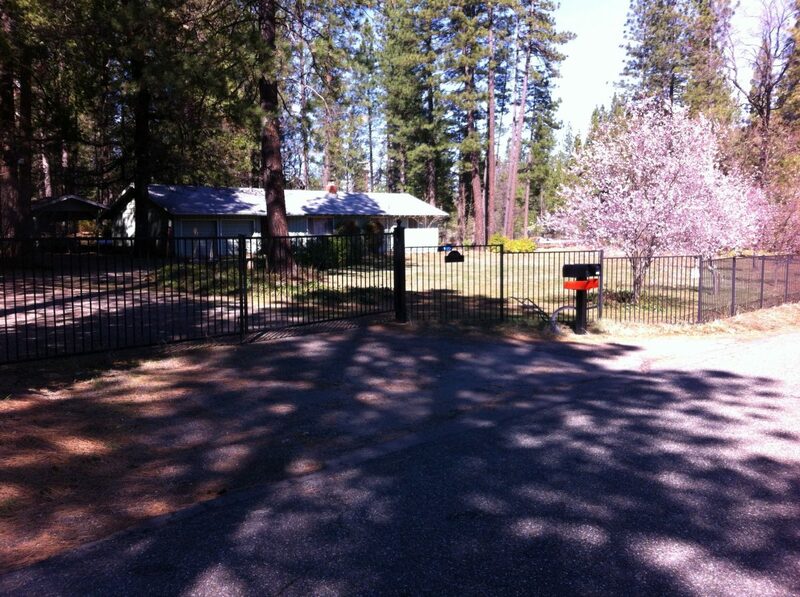 The little community of Oak Run is just 10 minutes away up the road towards Redding and has a grocery store with great burgers, an elementary school, and the post office. 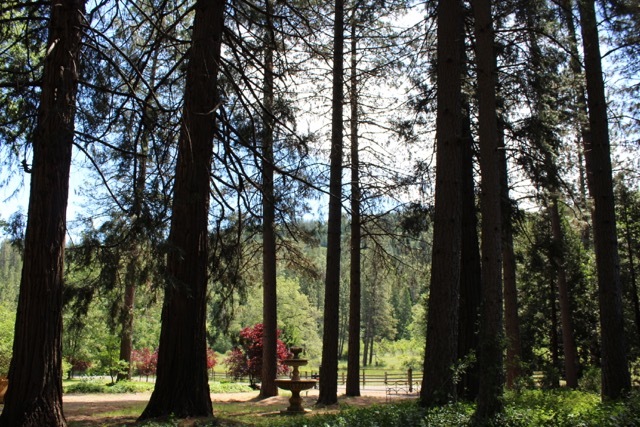 DESCRIPTION: The Green Valley Ranch is about 156 acres of beautiful meadows and forests. Beautiful meadow at the base of Bullskin Ridge which is surrounded by tall timber! Large springs along the base of the ridge above the meadow sub irrigate the meadow. 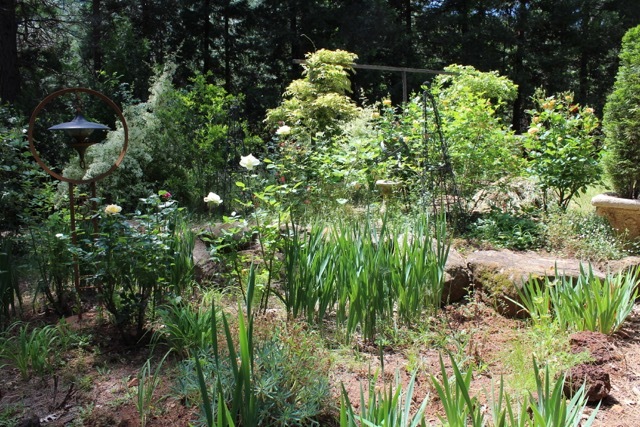 One of the springs was developed to irrigate an apple orchard back in the early days – approx. 200 trees with one variety being the “Pink Lady Apple”. The gorgeous old trees still produce! 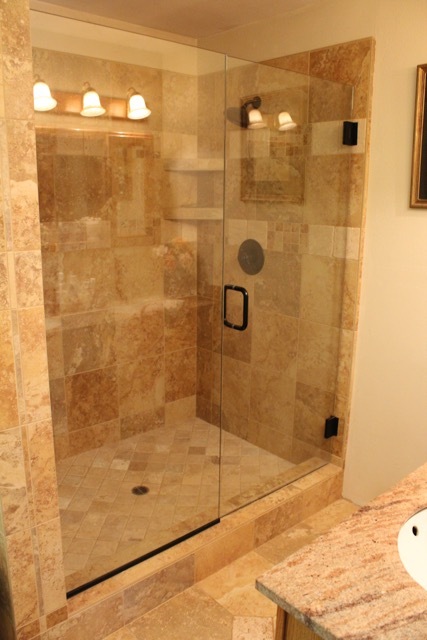 Elevations range from about 2,200 feet to 2,600 feet. Winter temperatures are cool but not high elevation cold. Just enough snow days in the winter to enjoy the beauty. 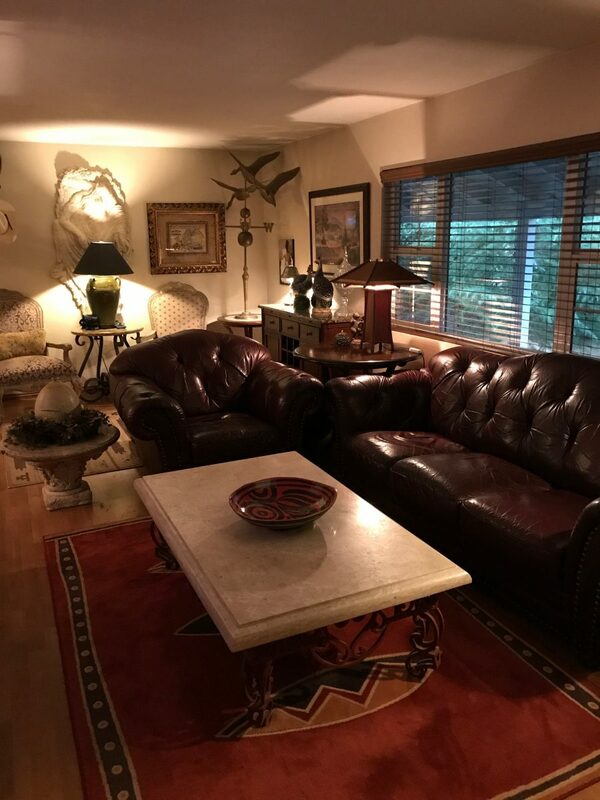 Interior access is provided by a gated entrance off of Bullskin Ridge Road, a quiet paved county maintained road. Gated roads lead into the ranch meadows and forests. Good ATV/Jeep access up into the timber up into Bullskin Ridge. Horseback riding or hiking galore! 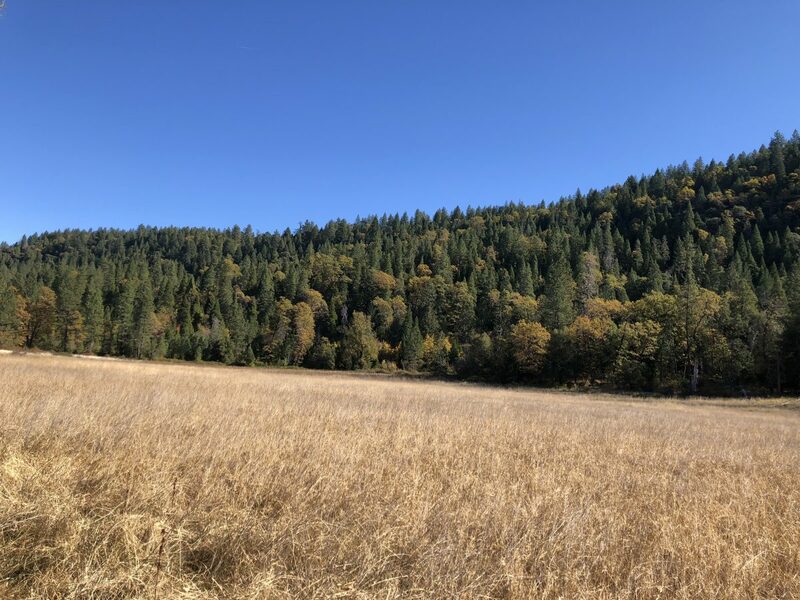 The ranch watershed is buffered by large tracts of forests as well as Conservation Easement protected lands on the easterly border above one of the largest springs. 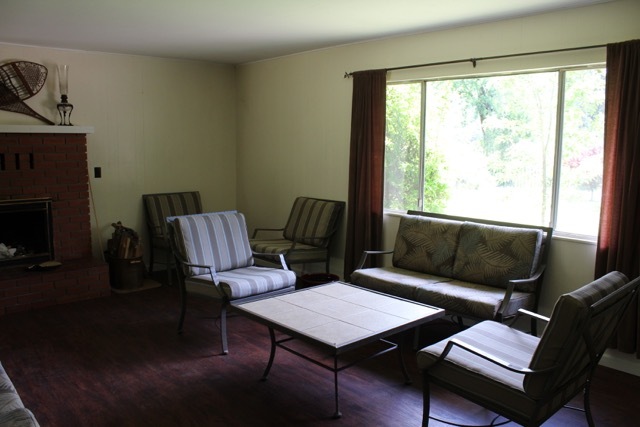 Private and secluded with easy paved road access. 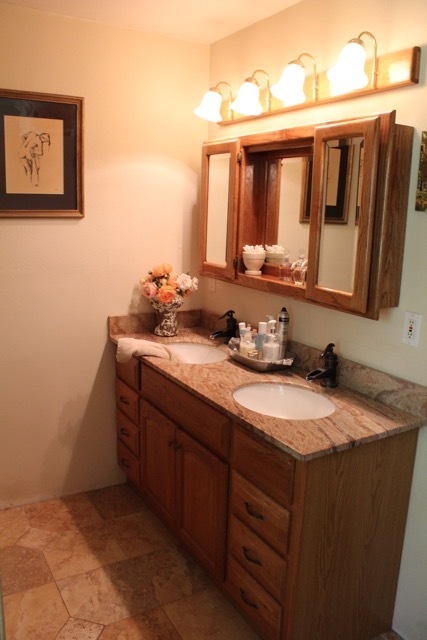 Ranch comes complete with late model John Deere backhoe & front end loader – excellent condition! 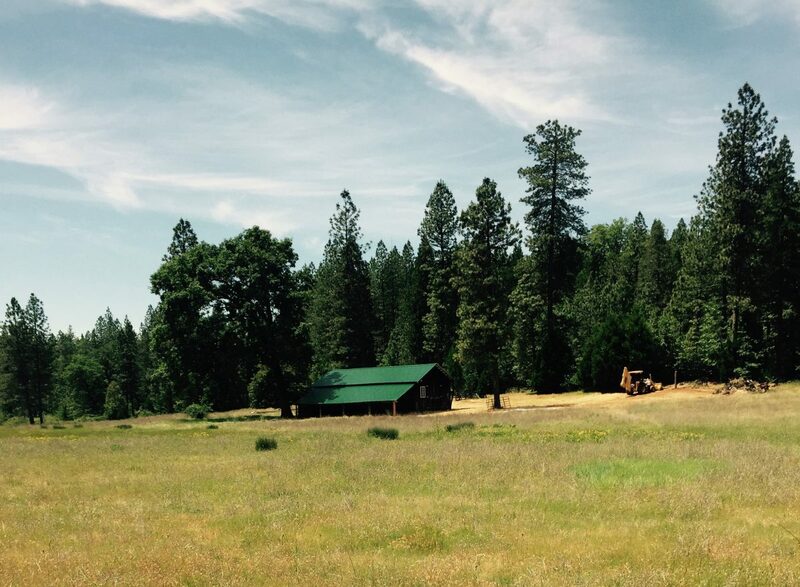 ACRES: Approximately 156.16 acres per the Shasta County Assessor ; 2 Shasta County Assessor’s Parcel Numbers 098-540-016 and 098-540-036. WATER: Spring fed water developed from 2 springs via a 2 ½ inch to 1 ½ inch underground lines provide domestic water for the homes and headquarters. Several springs above the ranch meadow provide excellent wildlife habitat and each could be developed further to further irrigate or provide reservoir water. The ranch apple orchard was irrigated in the past by one of the springs. The ranch appears to have some perfect locations to construct a large pond/reservoir around the ranch. Enhance your ranch value and provide even more wildlife habitat and ranch fishing. 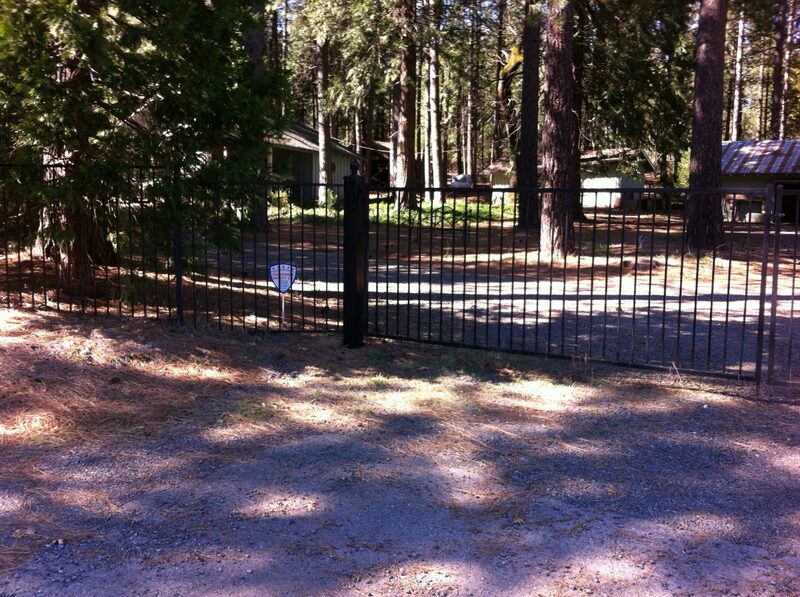 IMPROVEMENTS: Paved county road access leads to a gated entrance to the headquarters compound. 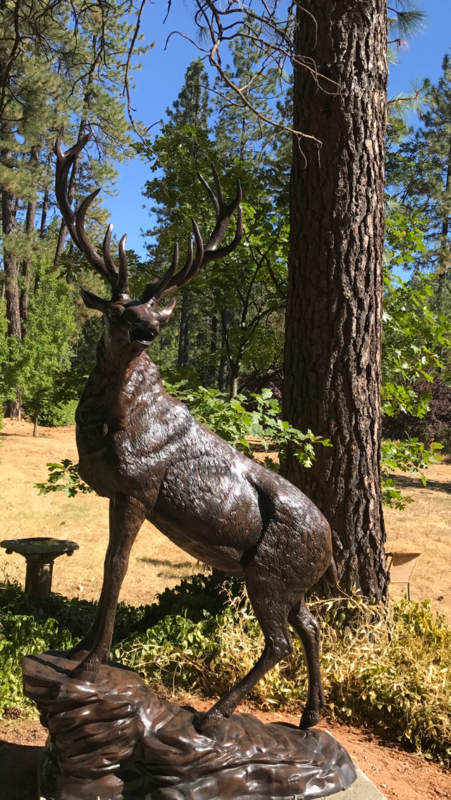 Spectacular bronze elk statue greets you at the entrance to the headquarters compound – about 4 acres completely surrounded with a wrought iron fence. 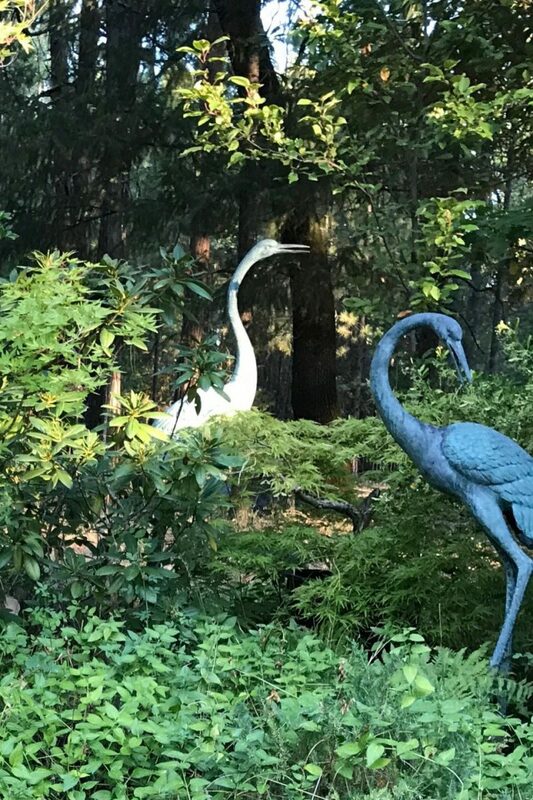 The headquarters compound area has the owner’s residence, a separate guest house perfect for mother in law, additional family & guests or even a caretaker! 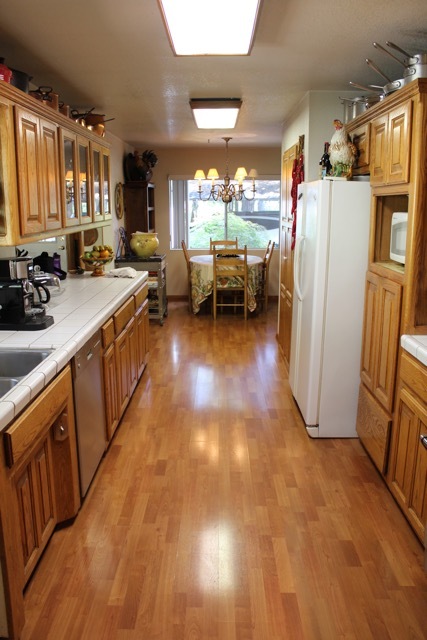 There is also a 3 bay equipment storage building and a 2 car carport in between the homes. 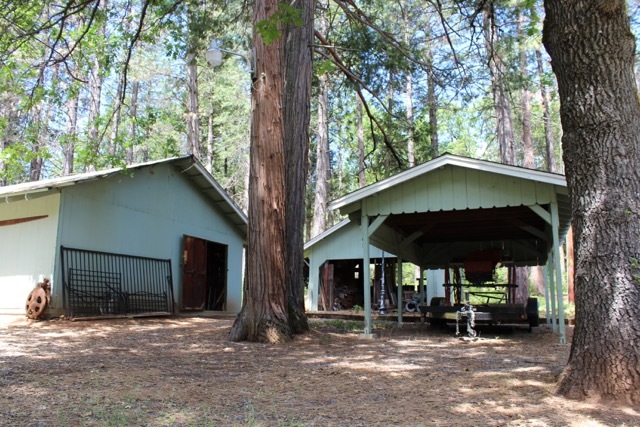 2 large barns in excellent condition with metal roofs on the ranch. 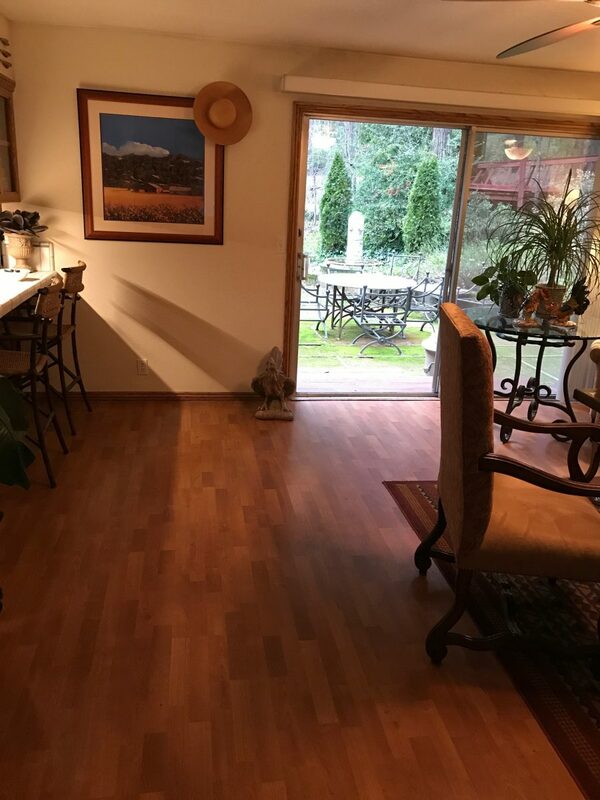 Outdoor kitchen area with smoker, plus a walk in cooler as well as a shop with heavy duty meat saws and grinder for your own ranch butcher shop. The owners residence is about 2,060 sq. 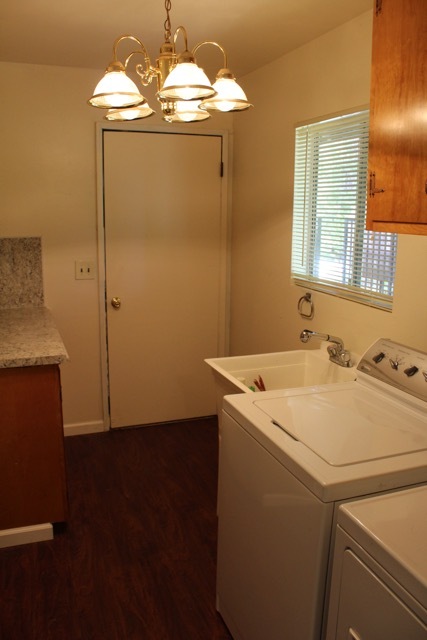 ft with 2 bedrooms & 2 bathrooms. 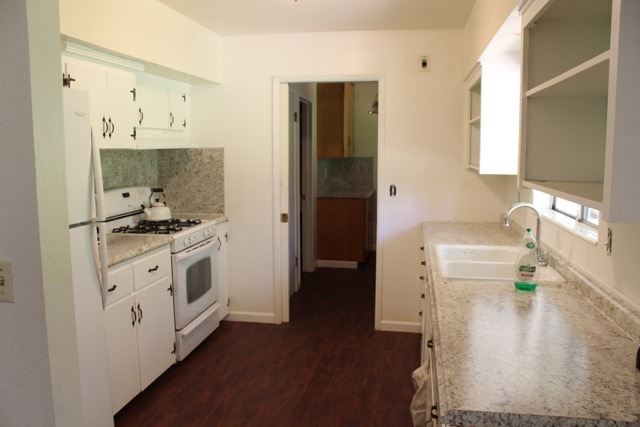 Very nicely remodeled with a fireplace and wood stove plus a monitor heater too. 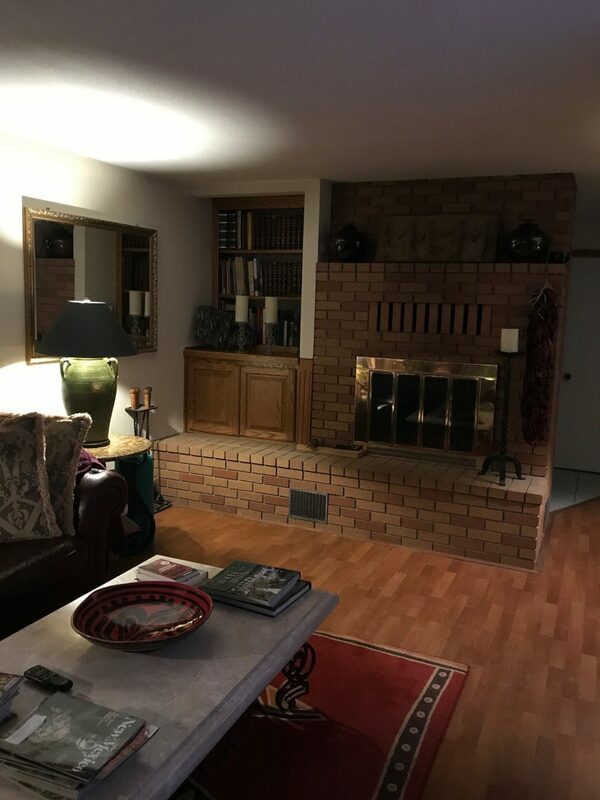 Wood laminate floors and a large brick fireplace. 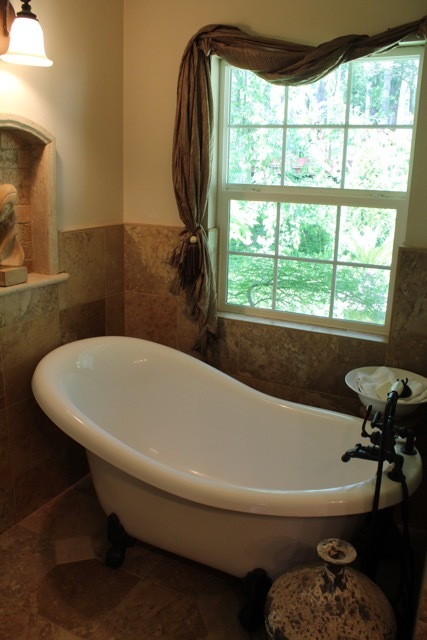 Master bathroom has a large freestanding slipper tub just right for a relaxing bath as well a large tiled and glass walk in shower. 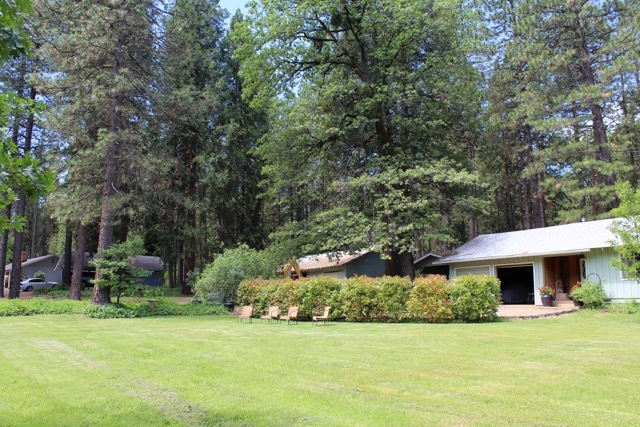 Wonderful setting with views out over the front lawns thru the tall trees and across to the ranch meadow. Just steps away is an approx. 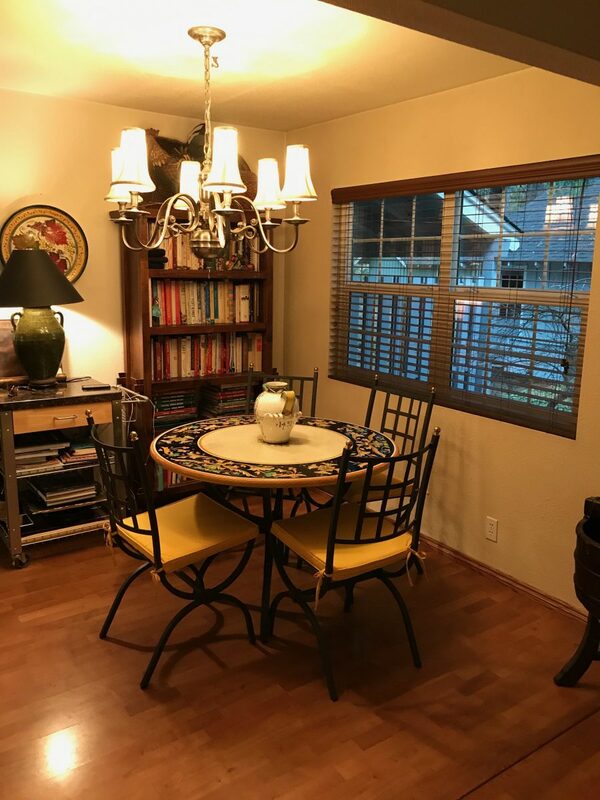 1,600 sq. 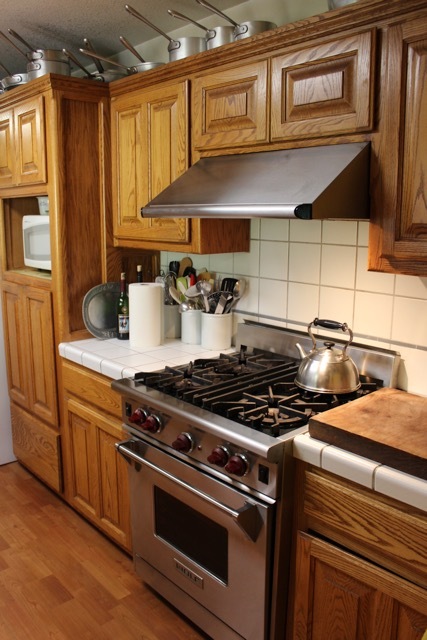 ft. 3 bedroom 1 1/2 bath guest home also with a fireplace and wood stove. Perfect for your guests and extended family. 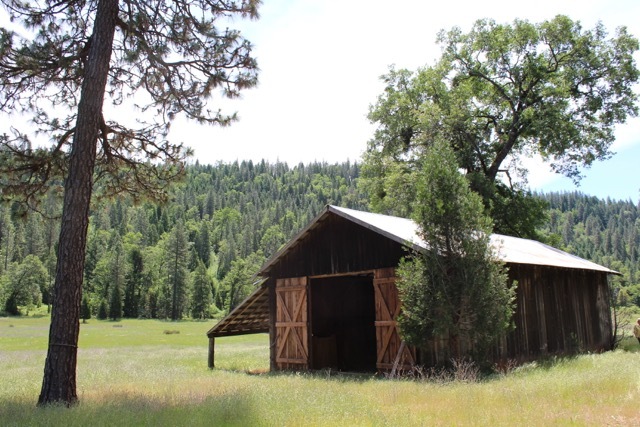 There are two barns in great condition on the ranch. One is nearby the apple orchard and was used by the previous owners when pressing the apples for juice and the other is down alongside the meadow. 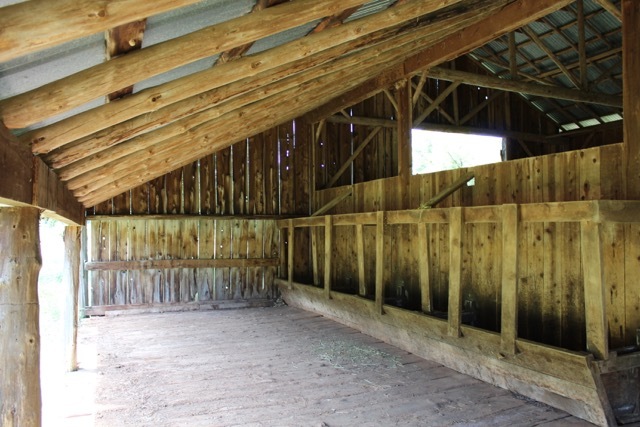 That barn has and adjoining feed bunk area and appears to be set up to easily develop horse stalls. 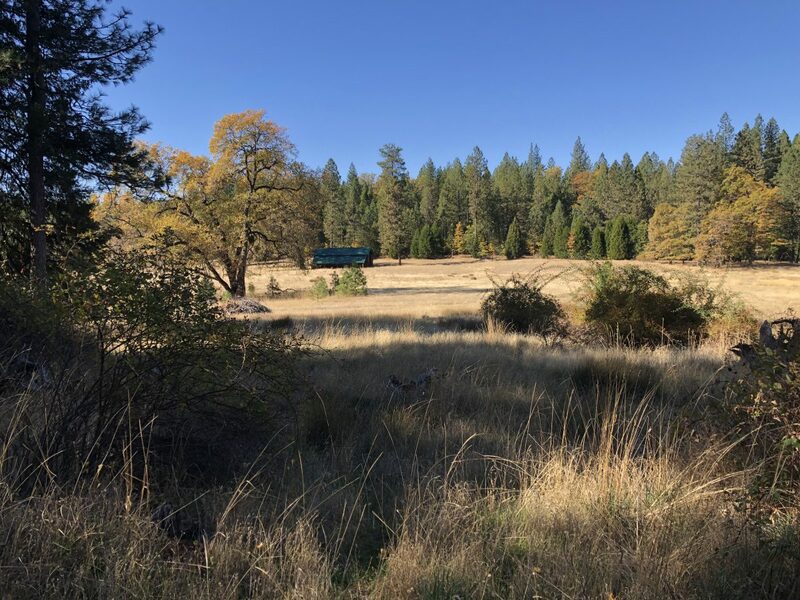 ZONING: The Shasta County General Plan calls for “Unclassified” zoning, which is intended as a holding district until a precise principle zone district has been adopted by the county. COMMENTS: Outstanding water resources, very accessible yet private. The wildlife habitat is tremendous with all the ranch water. 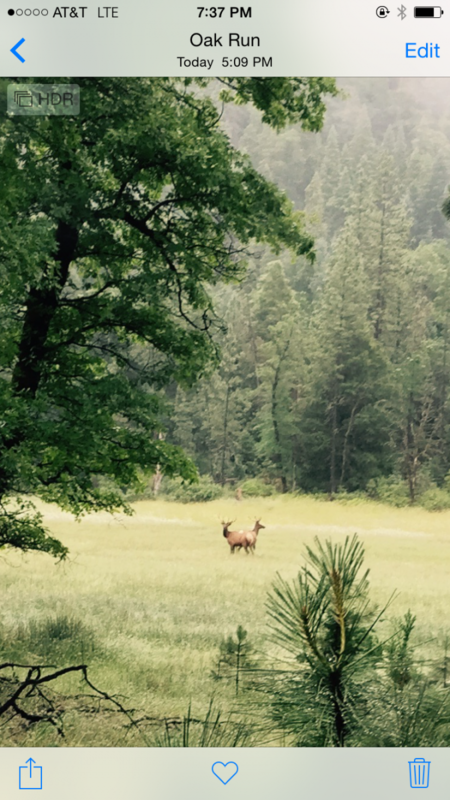 Deer, quail, dove, wild turkeys, wild pigs, and even elk are all found on the ranch. 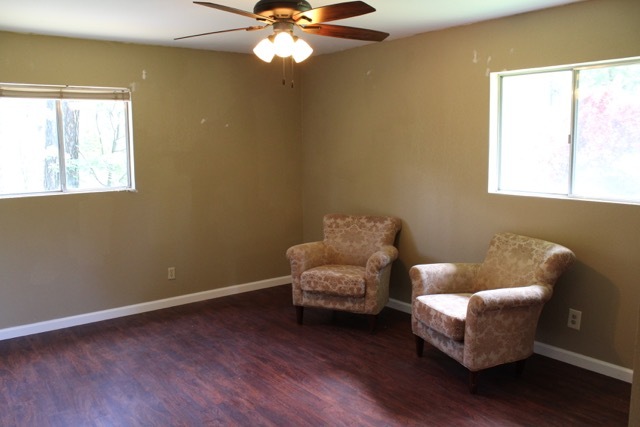 Asking price includes a John Deere backhoe w/front end loader!